The “discovery” had to do with the antiapoptotic gene Bcl-x, which is related to Bcl-2 (=B-cell lymphoma 2) and has been linked both to tumour progression and chemoresistance. The overexpression of these two genes protects tumours from chemotherapy in many types of cancer, for instance in squamous cell carcinoma of the head and neck, or SCCHN (see: http://tinyurl.com/692n8b). Oh dear, there are so many studies on this topic but, in a nutshell, the Bcl family is bad news for all of us affected by cancer. Chemoresistance, by the way, occurs when cancer cells are not affected by chemotherapy. They become immune to the attacks of these drugs. The consequence for chemoresistant myeloma and other cancer patients is obvious…I don’t need to spell it out. Anyway, my starting point was a rather dated study, titled BCL-X Expression in Multiple Myeloma: Possible Indicator of Chemoresistance and published in 1998 in “Cancer Research” (abstract: http://tinyurl.com/69lxlz; full study: http://tinyurl.com/5wuyw7). Since it’s available for free online, I won’t go into too many details. But if you just read the Discussion part, you will see that Bcl-x is more likely to be detected in myeloma patients at relapse and correlates with chemoresistance. Bingo. But let’s get to some potentially good news. After skimming through that study, I googled the following words: “chemoresistance” and “myeloma.” One of the first links that popped up took me to one of Prof. Aggarwal’s many studies, the one titled Targeting chemoresistance in multiple myeloma cells by curcumin, quoted on the MMRF website. Bcl-2 inhibitors: nigella sativa (black cumin), gossypol, apogossypol, gambogic acid and omega-3. Bcl-2 & Bcl-x inhibitors: curcumin, zerumbone, baicalein, resveratrol, ursolic acid, honokiol and capsaicin (=the “hot” stuff in red pepper). There may be others as well, but I stopped looking…for now. By the way, I have Pages on all of these extracts (see the right-hand side of my blog). This bit of research has opened up a whole new world to me. And it also posed a good question: if I, with no scientific background and with only very meagre means at my disposal (a simple Internet connection), can…stumble upon a possibly useful connection/synergy between the natural and synthetic worlds, a connection that has the real potential to help cancer patients at the very least with the toxic side effects of chemo and possibly even with the treatments themselves (by making the tumour cells more susceptible to these drugs, e.g. ), then why the heck don’t MORE cancer researchers devote MORE time to investigating this type of synergy? I have answers, of course, but they only make me seethe. Eh. Sherlock is away on a business trip in Madrid right now (ciaooooo!) but sent me a quick note yesterday afternoon reporting on what our endocrinologist (henceforth, she shall be known as Dr. DF) had to say about her bone mineral density test results. Well, Dr. DF exclaimed that these results were so good that they seemed fake. I kid you not. But, contrary to all statistics and expectations, Sherlock’s bone density has increased in the past year and a half, a relatively short time, said Dr. DF. Dr. DF excluded that this rapid increase could have been caused by Sherlock’s intake of vitamin D. Nope, she was really baffled. And that is when Sherlock brought up the curcumin and bone density studies. Dr. DF was intrigued and promised to have a look at said studies. So I guess I will be reporting more on this topic at some point next year. I have an appointment to see Dr. DF in February; the topic is bound to be mentioned. They talked about me as well. Dr. DF commented that it was a terrible pity that I hadn’t had a bone density test before I began taking curcumin (indeed!). She said it would have been fascinating to see if my bone density had increased since then (hey, by the way, “then” = almost three years ago!). Well, Sherlock has already begun badgering me, long-distance from Madrid!, about having a bone mineral density test…and, after giving the matter some thought yesterday, I concluded, “well, why not? After all, what’s another test?” Our results, Sherlock’s and mine, could be of use to other patients with bone issues. So I will make an appointment in the next few days. For now, though, I just want to congratulate Sherlock on her excellent results. Bravissima! Oh, and by the way, I forgot to mention that her haematologist (a different one from mine) pronounced her stable, too. This morning I went to see my haematologist at the Haematology Center of Careggi Hospital in Florence. I hadn’t seen her since February of 2008. One of the first things that she told me, smiling, is that she has begun recommending curcumin to her MGUS patients. And, she added, some of her patients read my blog (and have begun taking curcumin on their own). Well. To say I am thrilled is a huge understatement. Huge. But let’s proceed to what she said about my test results etc. After examining my July test results (I still haven’t received my November ones), she asked me if I had had any colds, fevers or infections recently. No, I answered, not even a teeny tiny nose drip. I then asked her why she was so surprised to hear that, and she told me that my immune system is very very low (in Italian: Lei ha pochissime difese.). She is concerned about the disappearing act of my good immunoglobulins (my IgMs and IgAs). She told Stefano and me that that is the only sign of possible progression. But this was at the beginning of our visit. Well, I attribute my good health to the anti-viral and antibacterial properties of curcumin and, in part, also to a homeopathic remedy that Sherlock suggested I take last summer, which I believe protected me from getting my usual bout of bronchitis in the fall. Incidentally, Stefano has had a horrible cold in the past few weeks, and I haven’t caught it. So I may have a disappearing immune system, but the little that is left makes the Ninja Turtles look like Turtle Doves (knock on wood! tocca ferro!). She looked over my July spinal MRI results and confirmed what I already knew: I have no lesions (at least, not on my spine!). So we can postpone the series of full skeletal x-rays for now. Phew. No bone lesions. No lesions! I asked her if she had obtained any details about my 2005 (=50% neoplastic cells) and 2007 (40% neoplastic cells) BMB samples, and she had. With a big grin on her face, she told me that the result is much better than expected: my 2007 BMB, taken about a year after beginning my curcumin protocol, wasn’t the reported 40% but LESS than that. Less than 40%? 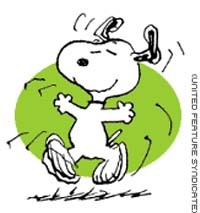 I almost hit the ceiling when I heard that bit of news!!! She didn’t give me an exact percentage, though, and for some reason I didn’t think of asking her. I think I was too surprised and excited to think clearly right then. Duuuh! I should write her asking for more details about the BMB (BMB=bone marrow biopsy, by the way) samples at some point. Oh, another good bit of news is that I don’t need another BMB. Not in the near future. I took that as a really good sign, for it’s almost been two years since I had my last one. I hate BMBs with a passion, even though my 2007 one wasn’t as painful as the previous two (OUCH! ), thanks to the experienced doctor who performed the procedure. Anyway, no BMB anytime soon. RELIEF! I asked her if I am anaemic, which is a big concern of mine. Flipping again through my test results, she shook her head and said, “no, not at all.” She also told me which results I need to monitor for anaemia. So I will be able to do that on my own from now on. Fantastic! She did join forces with Stefano and insist that I eat more red meat. Okay. Okay. Okay. I will. My monoclonal component has gone up a bit in the past year, which made her frown a bit, but she added that everything else is in such good shape that she isn’t concerned. This slight increase is not a sign of progression, in other words. I told her that I was testing parthenolide now, and she was very interested in that. She told me that if it works, she will publicize my results. By the way, she wants to see my test results, the November 2008 and January 2009 ones, but she doesn’t have to see me again for six months. Yippee. Speaking of parthenolide, she told us that she is presenting a paper at the upcoming ASH Annual Meeting in December, and promised to keep me informed of any news about DMAPT (a week or so ago, looking through the ASH abstracts, I found a paper about DMAPT and myeloma, very exciting indeed). I asked her about nifuroxazide, the oral antibiotic used to treat colitis and diarrhea, which has been found to kill myeloma cells by directly inhibiting STAT3 (see the September 29 2008 issue of “Blood.” I have the full study and will report about it soon on my blog). She knew about the study but had nothing to add. None of her patients are taking it. She seemed a bit ho-hum about it. At the end of our visit, Stefano and I asked her what the verdict was. She answered. P.S. As I typed that word, “stable,” tears filled my eyes. In fact, I had to stop myself from sobbing. Where the heck does all this emotion come from? Well, I guess a part of me was scared, since my July results aren’t that splendid…but I can relax now. No need to worry. My specialist confirmed that I am stable. That’s cause for celebration, not tears. Oh, one last thing: As we were about to leave, she told me to listen to my body. No kidding. I was a bit surprised, since she is, after all, a conventional specialist. But one who can think outside the box. She has earned my utmost respect. WHY do cats have such strong bones and so rarely bone defects and fractures compared with dogs? According to new evidence and theories, it is their purring which seems to be healing and strengthening for bone tissue. 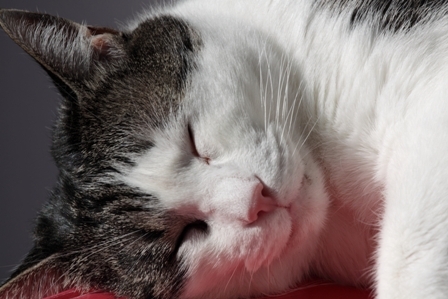 Purring provides vibrations which stimulate bone cells. The cat achieves its purring via nerve pulses to the musculature of the throat and abdomen, according to A. L. Lyons, veterinarian at the University of California, Davis. In doing so, it sets an elastic sinew, between the clavicle and the windpipe, in vibration. 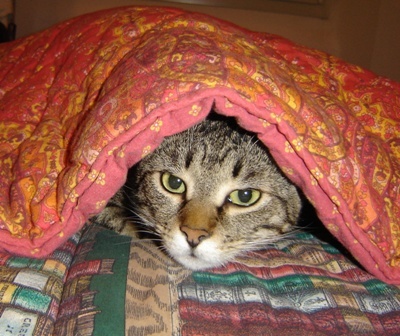 The sinew vibrates at both inhalation and exhalation of the domestic cats according to a fixed pattern and frequency. Variations in frequency range between 25-150 hertz, and cats can vary the strength of their purr. Among big cats, however, the vibrations are limited to exhalation. The frequency range is especially interesting because it corresponds well with the frequencies that researchers in animal experiments have found can stimulate bone density and the healing of fractures. Cats are hunters and strongly dependent on speed and strength of muscles and skeleton. The cheetah, the fastest land animal on Earth, creeps up slowly on its prey and then accelerates lightning-fast to speeds that can approach 100 km per hour, then it strikes down its quarry within about 20 seconds. The final hunting phase rarely lasts more than a minute. An animal weighing between 40 and 65 kg can make bring down a catch of up to 40 kg. But it eats an average of under 3 kg of meat a day. Therefore, its life on the savannah consists largely of lying still – the greatest risk factor for osteoporosis and muscle atrophy! The small amount of physical activity these quadrupeds normally expose their bones and muscles to in their survival on the savannah is hardly sufficient for them to be in the highest trim. But purring is a mechanism that requires small amounts of energy and yet can still stimulate muscles and bone to strength and explains the cat’s performance ability despite the low level of exercise [=my Puzzola in this recent photo]. Perhaps it can also provide the background to the proverb that the cat has nine lives, as the purr vibrations should facilitate the healing of fractures and other tissue damage in reference to what has been shown in animal experiments in the laboratory environment. Obviously, it is tempting to argue that cats purr for them to feel satisfied, but it’s more likely that their purring is partly a way for them to communicate and that it is also a potential source of self-healing and strengthening of the muscles and skeleton. […] Maria Sääf at the Karolinska Hospital in Stockholm, who has long studied the issues surrounding osteoporosis, […] was very enthusiastic about the possibility that vibration could also be beneficial for people with osteoporosis. A couple of pieces fell into place when she told me how vibrations are already being used in sports medicine to stimulate healing processes for injured elite athletes and that there is a new prototype machine at a school for children with limited movement which actually works with vibration technology. Her database search gave many hits of studies of the effects of vibrations on bone strength in animal experiments. But unfortunately there was a lack of work with results from human trials. My reader/Swedish translator told me about a purring 2003 “Scientific American” article. I looked it up: http://www.sciam.com/article.cfm?id=why-do-cats-purr And, while reading it, I remembered that all of my cats purred like mad after they had been “fixed.” At the time, I thought that they were simply happy to be home. How silly of me! Now their purring makes more sense: they were healing themselves, and, in fact, I bet that their purring helped alleviate the pain that they must have been feeling, poor dears. The SciAm article confirms that purring corresponds to sound frequencies that have been shown to improve bone density and promote healing. And, interestingly, both the Swedish study and the SciAm article discuss the fact that cats do not display as many muscle and bone abnormalities as their more strongly selected carnivore relative, the domestic dog. Perhaps cats’ purring helps alleviate the dysplasia or osteoporotic conditions that are more common in their canid cousins. Some official definitions tell us that myeloma is a “disease.” Interestingly, and this is something that I had never realized until now, “disease” and “illness” are the same word in Italian: malattia. But for me, malattia means that you are ill. I don’t associate malattia with “disease,” since you can have a disease but not necessarily be ill. Right? Interesting cultural difference, here, perhaps…and take a look at this excerpt from the myeloma patients’ guidebook published by the Istituto Nazionale dei Tumori in Milan. It begins with the definition of myeloma: Il Mieloma Multiplo è una malattia del midollo osseo che colpisce in prevalenza persone adulte ed anziane. (=Multiple myeloma is a disease/illness of the bone marrow that affects mainly adults and the elderly.) Do I translate that as “disease” or “illness”? Heh. Anyway, I really liked the view of myeloma as a “challenge” and a “pain in the …” (the latter, in a private communication). And, of course, as an “accident.” A molecular accident. Well, after all, it really boils down to semantics. If you look for synonyms of “disease,” you will find everything from “cancer” and “ache” to “misery” and “canker”…oh yes, AND “illness.” The antonym of “disease” is “health.” So is myeloma a “disease,” after all? But so is the bubonic plague. So is distemper. So is the flu. So is tuberculosis. So are lots of things. Can’t we do better than that? And so we get to the rest of my story, as promised. As I mentioned, I looked up all the various definitions of “cancer,” “illness” and “disease.” I looked up the definition of “myeloma” on various sites. But I wanted something more personal. My own definition. After all, myeloma is affecting MY body, my bone marrow, my blood. I am still pondering, but as of now I see myeloma as a part of me. Oh, there is no question that it is an unwanted part, and if I could make it disappear into thin air right now, I would (even though I agree with LPC’s comment). Some time ago, I don’t recall where, I read what I thought was an appropriate description of myeloma: a bothersome roommate. I liked that image and borrowed it. The roommate image reminded me, in fact, of a couple of really dreadful housemates that I had during my first year in college. They were definitely the CHFH, or College Housemates from Hell. They were messy and dirty and noisy and immature and silly. They took forever in the bathroom. They never cleaned up the bathroom or the kitchen (or the rest of the house, for that matter). Their idea of fun was to drive around at night throwing eggs randomly at people walking on the street (when I told them that I thought that was dangerous etc. etc. etc., they laughed at me for being such a fuddy-duddy). Oh, the list goes on and on and on. Luckily, in my junior and senior years I had a couple of good housemates, Harvard Law School students, incidentally, at the same time President-elect Barack Obama was there…hey, I wonder if they attended some of the same classes? At any rate, that is how I see my myeloma…as a messy and at times annoying roommate. But for now I have managed to lock my unruly roommate inside his (her? it? Hmmm, I see another post in the making…the myeloma gender post!) room. And I have no intention of letting him out any time soon. No matter how loudly he hollers. But in my mind and heart, it’s really my unruly roommate. As many of you already know, I adore cats, the most wonderful creatures in the world. I have four cats now, two years apart in age…even though years ago I found out that I am allergic to them (just my luck!!! ), which forces me to use a cortisone inhaler once a day. I don’t mind, though, it’s a small price to pay for all the joy they bring to me and Stefano (who is also probably allergic to our darlings, by the way). Our friends think we’re nuts. That may well be true, but at least we are happy nuts. Well, after what I read this morning, I am beginning to suspect that they might be giving us more than (allergies and) joy…but let me proceed by degrees. 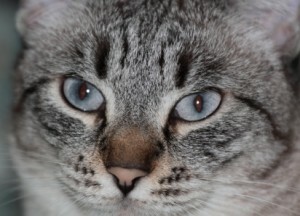 Priscilla, my second youngest, now 3+ years old, is our “wild” cat. I posted her story on my blog a while ago, but, in a nutshell, I found her abandoned as a tiny kitten on our street and saved her from certain death. Even though we have tamed her to some extent, she still hisses and spits and even growls (sometimes) if you try to pick her up. But she also has a very sweet affectionate side, as my parents well know (she worships them). For instance, whenever we lie down, she nestles next to us or on top of us and purrs and purrs and purrs. She loves to get under blankets (see photo). When I am sitting at my desk, she frequently gets into my lap or tries to perch on my shoulder (well, when she was a baby, she fit right on my shoulder, but now she hooks her claws into me to hold on, ouch!). Or she gets under my sweater. That is her favourite place. Well, I am no longer going to try to discourage her sweater retreat, even though most of my turtlenecks are full of tiny claw-made holes. The reason. A blog reader (thanks, Sue!) recently left a blog comment with a link to a page about the healing effect of a cat’s purring: http://tinyurl.com/5j95ne An extraordinary read, I must say. So I decided to have a closer look at this purring business today, even though I really should be working on my more serious piece. At any rate, this morning I did a bit of research on PubMed and came across a few scientific studies that discussed the purring/healing phenomenon. But these studies had no abstracts and were a bit dated, so I won’t even bother asking Sherlock to retrieve them for me. However, I would like to highlight the title of a 2003 Swedish study: Purr as a cat—and avoid osteoporosis. Too bad I don’t know a word of Swedish. Still, an intriguing title, no? I did find an article in English addressing the issue of bone healing: http://tinyurl.com/5zly2u The author writes that Consistent vibrational sound frequencies of 25-150 Hz, which is the range of a cat’s purr, aid in the healing of bones, tendons, ligaments and muscles, as well as providing pain relief. Cat lovers, please go have a peek at this article. 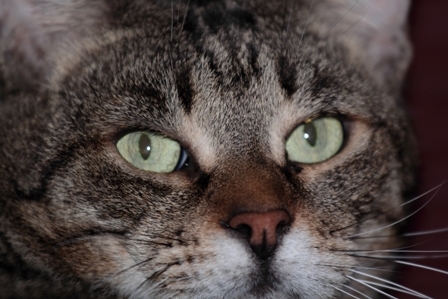 Another interesting titbit is that cats purr when frightened or injured or giving birth. Ah, in fact, I have noticed that all of my cats (except for Peekaboo, who is fearless), Priscilla in particular, howl but also purr when I take them to the vet. The purring never made sense until now. So, as the author points out, in addition to expressing contentment, purring must be some sort of survival strategy. And read this: Cats’ bones heal faster and more easily after fractures than those of dogs. Veterinary medicine researchers note that 90% of cats that plummet from extraordinary heights survive despite serious injuries. There is also evidence that cats are less likely to suffer postoperative complications after surgery than dogs. This rapid healing ability may be attributable to purring. Of course, the conditional tense is used here. Then we read that Dr. Clinton Rubin [for info on Dr. Rubin, check out: http://tinyurl.com/6yqxph, love that turkey photo, hehe] and his colleagues have discovered that sound frequencies of 20-50 Hz can increase bone density. From what I gather (but I could not find the original study), these researchers performed two tests, one on chickens, the other on rabbits. Both chickens and rabbits had stronger bones after exposure to 20-50 Hz, which also stimulated the healing of broken bones as well as the speed of bone regeneration. Healing of broken bones? Increased speed of bone generation? How much is two plus two? Cats are also less likely to suffer from osteosarcoma, osteoarthritis and myeloma (a tumor of the bone marrow’s plasma cells). Oh boy! The rest of the article (the effect of purring on pain relief, tendons and muscles, etc.) is interesting, too. This morning I read online that people suffering from migraines get some relief when purring cats are placed next to their heads. Well, well. And hey, it occurs to me that my cats lie next to me or on me whenever I am ill. When I had pleurisy (and almost kicked the bucket), they were with me all the time. Now I know why. And hey, even if this purring business is an old wives’ tale, isn’t it a good one? I, for one, like to believe it’s true. Well, heck, now I guess I am going to have to learn how to purr, perhaps while sipping a dark hoppy beer. For the moment, though, I will continue to cuddle my little tiger under my sweater as often as she wants. Yesterday morning I handed back the grammar test that my pre-intermediate students took on Friday. My strategy is to have them correct their own mistakes…so what I do is hand them bare copies of the test and quiz them on the parts where they made mistakes. My reasoning is that if I simply gave them the corrected test, they wouldn’t remember anything after two seconds. This way, they have to reflect about the mistakes they made. So far I have found this to be a good method. One of my funniest students, Colleague C (for a reminder, do a blog search for “moldy bread” 🙂 ) didn’t agree with some of the corrections. She wailed that she feels like a little bird, full of life and ideas and new grammar rules, but stifled inside the cage of English grammar. But, I tell her, rules are rules. Her standard refrain: No, Margaret, it depends. When I told them that the correct preposition was “after,” Colleague C blurted out: No, no, Margaret, it depends. For example, while the neighbour was on holiday, what if the cat got lost, and I had to look for him? You see, it depends, it always depends on the situation. Well, we did have a bit of a laugh over this one. Upon reflection, though, so many things in life depend on how you look at specific situations. When you receive bad news, e.g., you can try to examine it from different perspectives…and in the end, it may actually turn out to be not-so-bad news. Question: was I better off before my myeloma diagnosis or am I better off now? Hmmm. In many ways, as incredible as this is going to sound, I am better off now. I have a purpose and drive that I didn’t have before my diagnosis. In addition, if I hadn’t begun writing bits and pieces for my blog, I would never have discovered that I can actually write. And writing has now become an important part of my life. Who would have thought? A few years ago, I would have said, no way, I can’t write, period. But here I am, every day, typing away at something, full of ideas. I have written a ton of unpublished blog pieces. Sometimes I write just for fun. Therefore, for me, having myeloma is not all bad. But if I were in a later stage, and I may get there someday, well, there is no question that I would think differently. One of Stefano’s many areas of expertise is beer. He knows a lot about it and enjoys drinking a beer in summer AND winter…cold, cool and lukewarm, dark and light, different brands from several European countries, including Italy. Always with moderation, of course. As for me, the only times I manage to swallow a couple of sips of beer is when I am inside an English pub (=once every ten years or so!). Stefano thinks that I prefer English beer because it isn’t as fizzy as beers made in other countries. But his love for, and my general dislike of, beer is not the point of today’s brief post. The point is that, while doing research on a sort of related topic, I came across some very good news for all the myeloma beer drinkers (and, why not?, beer drinkers in general) out there…so here goes. A group of researchers, including Prof. Aggarwal, tested xanthohumol (XN), a compound extracted from the hop plant, discovering that it has anti-inflammatory, antiproliferative and antiangiogenic properties. Their report was published in the October 24 2008 issue of “Blood.” I would love to read the full study, but Sherlock is off on a brief and much-deserved holiday, so I will have to wait until she returns to Firenze. In the meantime, the abstract (http://tinyurl.com/5q55w2) gives us enough food for thought: XN potentiated TNF-induced apoptosis in leukemia and myeloma cells. The words “apoptosis” in the same sentence as “myeloma cells” always make my day. You can go read about all of xanthohumol‘s other properties, including the downregulation of the infamous hyperactive NF-kappaB (hurrah!). But the important thing is that xanthohumol causes the death of leukemic cells. Yes! Okay, but what is xanthohumol’s connection to beer? Stefano and other beer connoisseurs probably already knew this, but it was news to me: the hop plant gives aroma and bitterness to beer. And its compound xanthohumol was first isolated thirteen years or so ago by Oregon State University beer drin…I mean, researchers. They discovered that it inhibited tumour growth and enzymes that activate cancer cells. We shouldn’t forget that lab studies undoubtedly use a pure compound, whereas the one that is found in most beers is probably not so pure. Still, it’s better than nothing. From what I read, if you want your beer to have a higher hop content, choose ale, stout or porter. The darker, the better, apparently (?). I have a feeling that the bitterer beers contain more hops and would thus be preferable to sweeter-tasting beers. But hey, I could be really wrong about that.